You are currently browsing the Elisabeth Shim, MD blog archives for November, 2012. 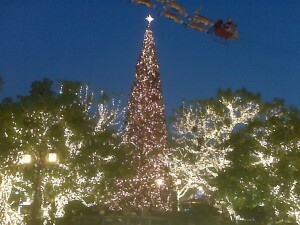 Had a great time at the Grove last night. 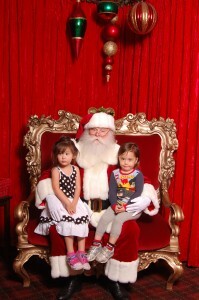 Thought I’d just show the girls the Xmas tree, but surprise, Santa has already arrived from the North Pole. 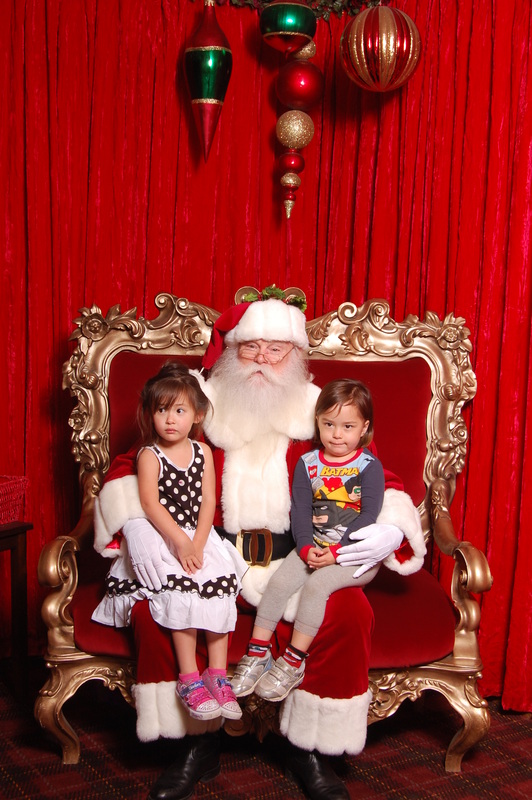 They had a case of stranger danger, but we had a good time. 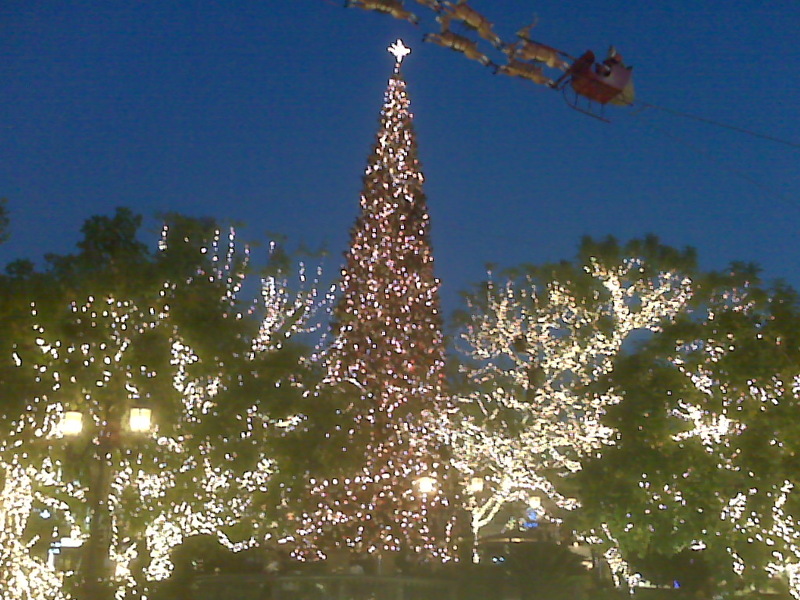 The lights are beautiful and they had fake snow. The Skin Cancer Foundation put a factoid up on their Facebook page today. Tanning bed users have a 69% increase in basal cell cancer rates. Even though I am a dermatologist, I also used tanning beds in college (?!) and remember lying on the beach at Northwestern (yes, Pepperdine isn’t the only college with beaches! ), getting tan and burnt during my first college spring break in Cancun. Pretty wasted effort since I didn’t really date anyone in college (no one at Northwestern did!) Not sure who I was trying to impress, but do remember that tanning was addicting. I did get a wink from Billy Hufsey from Fame, my first celebrity flirt while in Cancun. Whoo hoo, not worth it!! Basal cell cancers in young people are not all that common, so it is especially concerning when I see them in 20 or 30 year olds. I saw a teenager once with a BCC and my friend’s sister had one on her lip in her early 20’s. I am afraid it does not bode well either, since most of our frequent flier cancer patients had their first ones in their 40’s. Best wishes to all my friends on the East Coast after Hurricane Sandy. My friend on Long Island got her power back after 4 days, but it went from 4 hour gas station lines to NO access to gasoline, not knowing how her office will run without staff, let alone her doctor husband driving into the city for work. Another friend with a second home in Stone Harbor, NJ still doesn’t know what happened to the home that has been in her family for generations. We have fond memories of spending some summer days there and hope all is well. Oh and how can I forget seeing NYU Tisch and Bellevue hospitals being evacuated on TV. I wonder where they put the forensic psych jail patients? 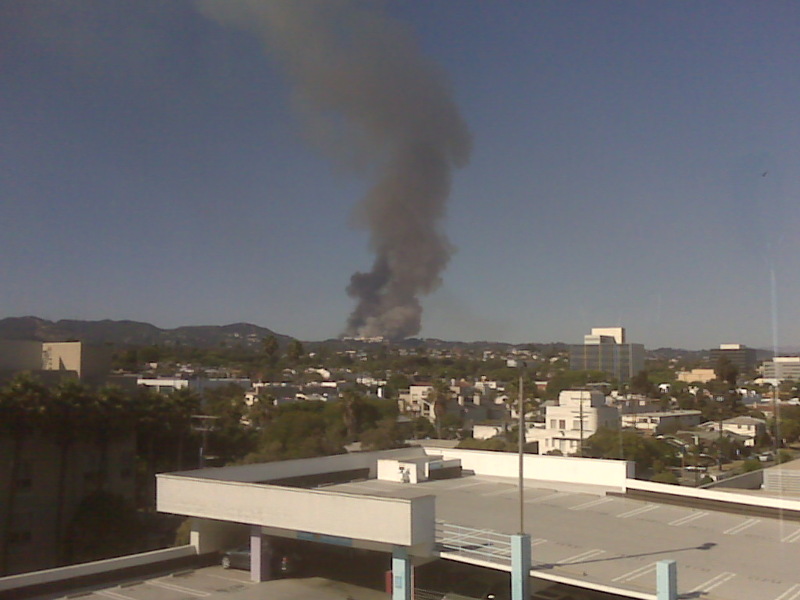 Thankful for the wonderful LAFD for putting out this horrible fire back in September on my birthday weekend. 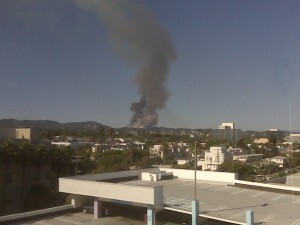 I looked up out the OR window during a repair and saw thick black smoke and flames above the Getty Center. My poor patient. I did concentrate on her repair, but I did a lot of praying! It was a comedic sight seeing me try to water down our hillside and 50 foot palm tree the next morning just in case. Unfortunately, I think we all get into reactive mode after a natural disaster. I asked my friend to give tips on what she recommends which includes getting a generator and 5 gallon gas canisters for them. Just don’t know how feasible it is to get gas in a situation like this, and certainly storage is not safe. Probably a wise idea to not let your car gas tank run low. Another colleague suggested keeping a lot of cash handy, since credit cards don’t work in these situations. I tried this for a while, but carrying a wad of $20’s is just impractical. Just glad our Santa Monica office went through the retrofitting after the Northridge earthquake. We always have a ton of water available, but whenever I buy food, we end up eating it!